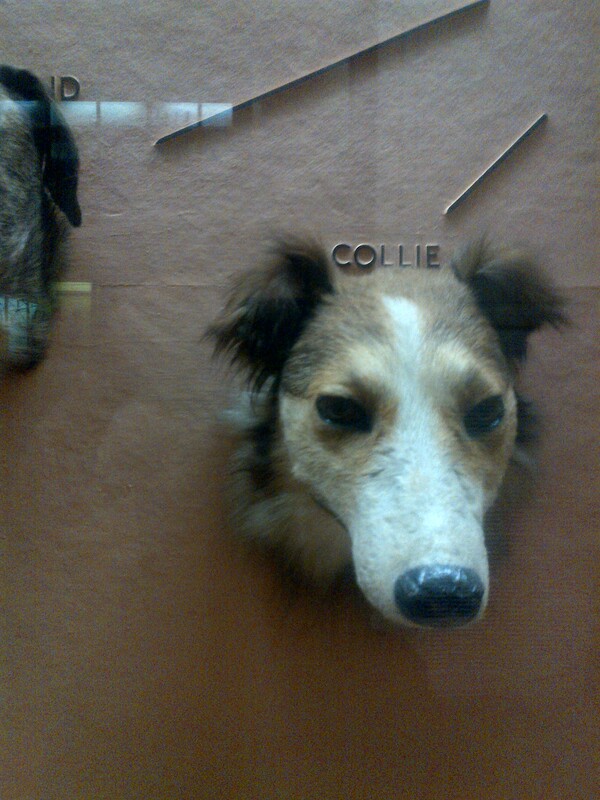 Fellow environmental historian Erin Gill recently sent me some photos of taxidermy dog heads that she recently took at the Horniman Museum in south London. They’re so interesting and unexpected that I asked Erin if I could post them on Sniffing the Past. She said “yes” so here they are. Thanks to Erin for the photos. For more on her work, please check out her website. My goodness, they’re really creepy! 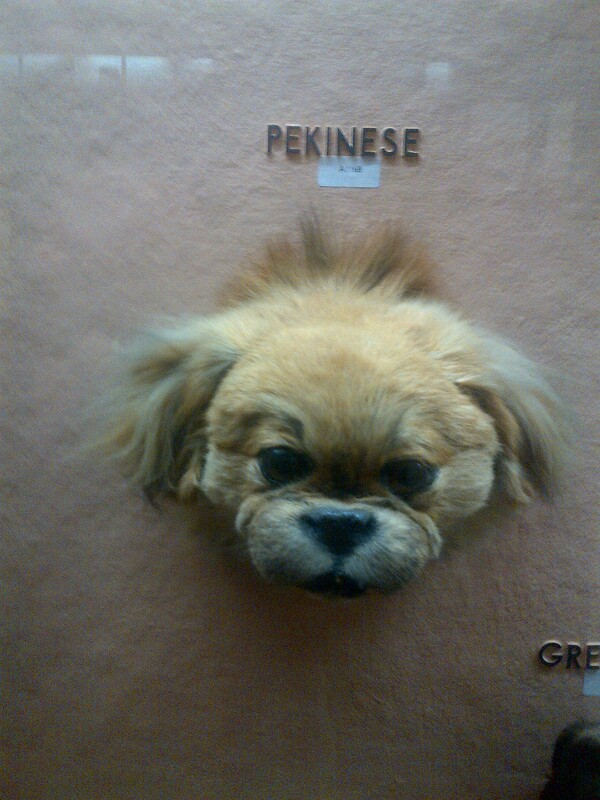 There is also a big display of dogs in the Rothschild museum, north of st Albans, UK. One tiny creature is wearing a coat knitted out of spun dog hair. 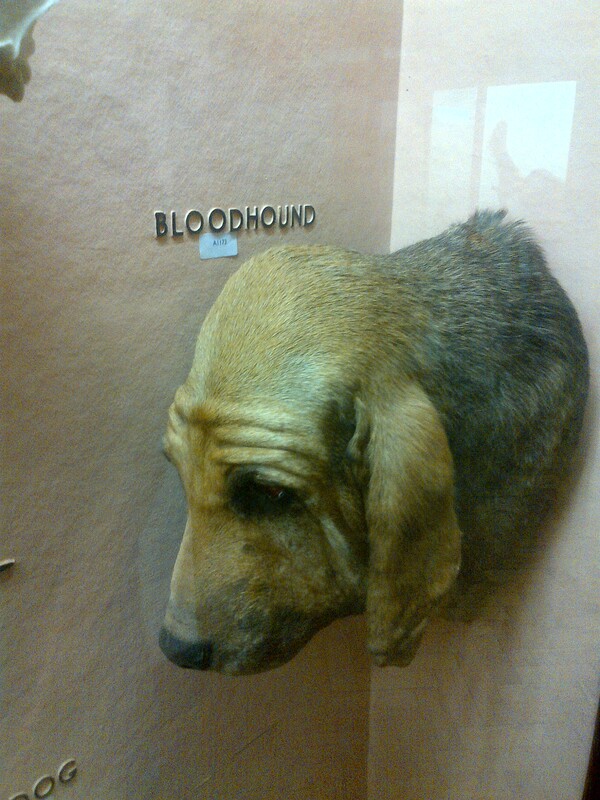 While being a wonderful victorian museum with large research collections it has several wierd aspects. Check out the display of fleas, in a case equipped with a magnifying lens.